Upload a photo/image that you would like turned into a silhouette. 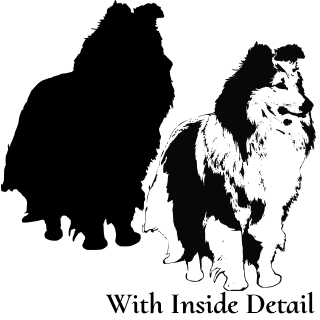 Include white space on the inside of the silhouette to enhance the design. 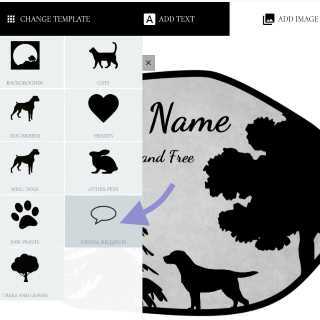 If you want to add a silhouette/image of your pet, we offer the service of converting a photo you provide to a silhouette/image that can then be accessed in the online design canvas. You upload your photo with the order form above. It takes us 1-2 days to process the image, then you’ll recieve a notification that your special image is available for use. 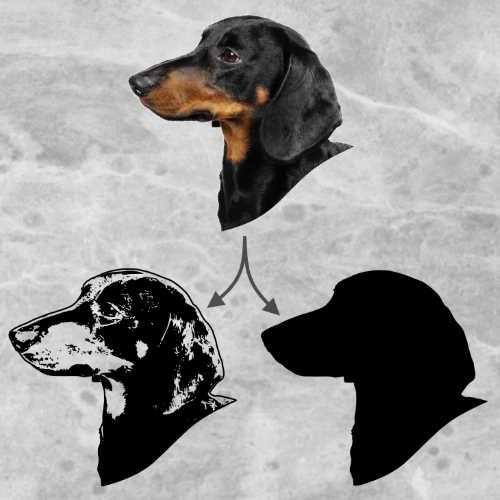 Classic silhouettes work best when the image of your pet is in profile, otherwise the image can look a bit like a blob! In which case adding the inside detail creates more of a photo effect and shows the true personality of your pet. When your design is complete, you’ll receive an email from us. You will then see you silhouette available for use in the designer in the Special Requests image section.